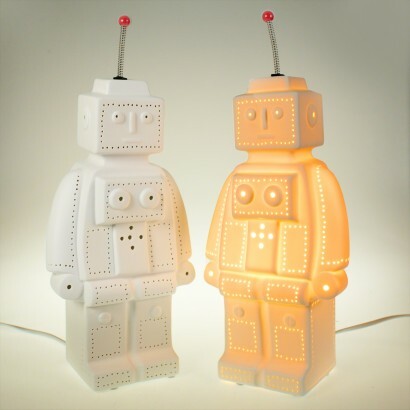 Based on the toy robots that may adorn your child's toy box this glowing companion will reassure your child at night with gentle light. 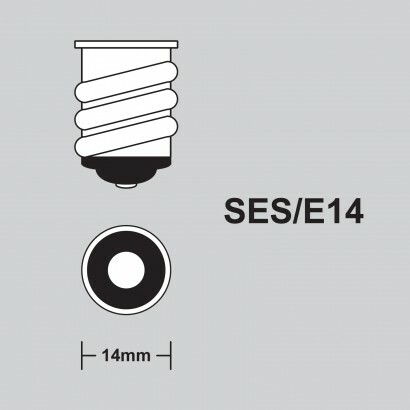 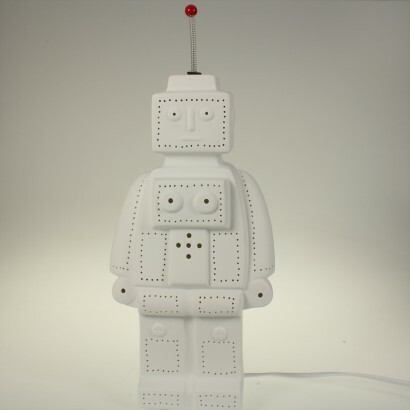 Made from white matt porcelain for a contemporary feel, this stylish robot lamp has a perforation design detail picking out the robots features with pin holes that highlight the design when lit. 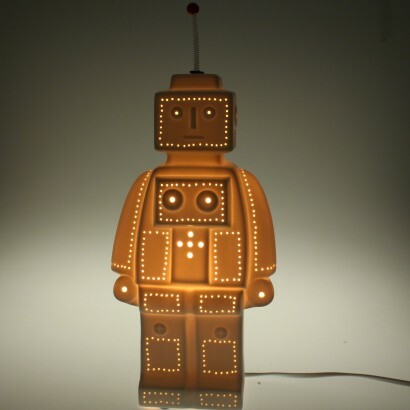 Suitable for use with a low watt bulb, this sweet robot sidekick shines with a warm glow that will comfort your little one at night.